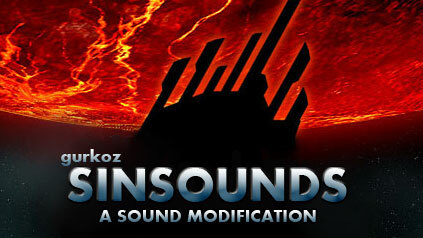 - New explosion sounds all ranging from small ship, installations to big capital ship explosions with a longer duration to better match up the visual experience. - New critical hit sounds to really let you know when a ship is in trouble. - New beefed up weapon sounds for all weapons and installations. All sounds still trying to uphold the feeling of quality towards each race. - New impact sounds for all weapons making a clearer message about when things are actually hitting. - New sounds for all ships engines. Different characteristics for each race. I always felt that the sound in this game where a little lacking. To me, all the sounds where a bit too much muffled. I can see why the developers took this approach since it should convey the feeling of a grand scale battle. I personally didn't like it and that is really the reason why i made this mod. These new sounds should be somewhat clearer and hopefully enhance the experience of participating in a massive battle! Hope you will like it! See the readme for further information. this mod is awesome, explosions never sounded so good! This sounds great and works perfect for Trinity on any game.